Jay Nazare born in middle class family in Pune. As kid he started playing cricket, first he started playing cricket on plastic ball in Galli, in Camp, Pune where they are staying those days. he was good player on plastic ball and played many plastic ball tournament and became famous plastic ball cricketer in their area. On those days he used to play tennis ball cricket also but not good as plastic ball. he used to play plastic ball on road and there was big risk of accident, so people staying nearby start objecting on regular basis hence they reduce playing on road and stared to play tennis ball cricket on ground. From this his journey as tennis ball cricketer started. Meanwhile he completed his SSC; his brother knows that he have potential to become a good cricketer. His brother asked his to take admission in Ness Wadia College, one of the well-known colleges in Pune, and this college was known for playing and creating good cricketers those days. he got the admission and very excited about it,but unfortunate part was before one week of college cricket team selection he had an accident and bone of his hand was broken badly. Nearly 2-3 months he was in the hospital. With this accident his chance of getting selected in college cricket team also gone. After around 1 year of this accident Jay stared playing again. He stared his tennis ball cricket from “Suttack XI” well known team of those days. Jay played many tournaments and performed well in this team. Due to the poor financial condition, once he passed out the SSC, he stared the business for which he have to reach home before 04:00 PM, so it was very difficult for him to play the cricket for full day,but on Sunday, entire day he used to play cricket only. Jay was playing good cricket in Suttack XI team but somehow few players of this team stop playing and team was stopped playing in the tournaments. Then Jay joined “Sunny XI” the one of the champion team of those days in Pune. Jayant Bhosale was the captain and owner of this team, his team playing around 30 years continually in Pune and outside Pune. he stared opening for the team and done very well. He has good memories while playing for Sunny XI. The one he always remembers was beating “Dingdong XI” (Professional and great team) twice in a day in two different tournaments. He come to know afterwards from Vishal Kamble (Professional Player of Dingdong XI and good friend of Jay now) that they have won 83 matches in row and that given day they have beat them twice to stop their winning path. Jay remember that himself and Avinash Ramgude (Professional Cricket and good friend) both have batted well and able to won the match without losing the wicket to Dingdong. In between his brother was got settled in Dubai and he also completed his graduation, so his brother asked him to join him in Dubai and work there. HE went to Dubai and worked there for nearly 2 years. The truth is his body was in Dubai but my mind and heart was in Pune, because Jay’s parents are in Pune, he was badly missing his mother and also missing the cricket. Those days calling from Dubai were very expensive but he still remember that he used to call Jayant Bhosale to get the update about cricket they were playing in Pune. After few days in Dubai, one of his brother’s colleagues Sujit became good friend, he is from Mumbai and very passionate about cricket. With him Jay played few matches in Dubai on tapped ball, he also played few tournaments there and was awarded Man of the Series in one of the tournament and that MOS trophy is with him and it’s very valuable for him. When their both brothers are in Dubai and both sisters are married, his mother and father were staying alone. The good thing was his both sisters were staying in Pune only with their family. In between his father was not well and got admitted in hospital; therefore they both came from Dubai to take care of him. But unfortunately his father had the heart attack and passed away. After few months his brother gone back to Dubai and Jay stayed in Pune because his family needs one of them. After few months of this tragedy, he started the new job in Pune and also started playing cricket in his own team Sunny XI again. Meanwhile he got a chance to play in Dingdong XI, but not able to do so, because they are professional cricketers and use to play every day which is impossible for Jay, because he have to do job also. Jay want to play in Dingdong XI, because he had created his name in Pune tennis ball cricket, every tennis cricketer in Pune knows that he is good player and he thought this is the time to play outside of Pune and create the name of own. He want to prove himself that he can play against good professional bowling attack, especially the well-known spin bowlers from Mumbai. After few years, Jay joined Dingdong XI but the name of the team was changed to “Pratik XI” because sponsor was changed. Few players were also changed from Dingdong to Pratik XI team. We played first tournaments as Pratik XI in Tuljapur and able to won that. In final he took good catch of Krishna Satpute (Professional and talented opening batsman). And from this tournament his professional cricket journey started. He is only able to play on Sunday because he was working on weekdays. After few months he changed his job and joined in Multinational Company in Pune and still working from last 7 years. In this company he has weekly off on Saturday and Sunday, Jay was really happy that now he can play professional challenging cricket two days in a week. One day, he was seating at home and got a phone call from one of his best friend Robert and he said him that they have a Semifinal match in Hadapsar, Pune and he asked Jay to come to play that match. Jay told him, I cannot make it because I have to go to the office, but still he asked him to come for the match. At last Jay agreed and went to the ground to play the match. When he reached the ground he came to know that our opposition team was my own team “Sunny XI”. As he said in above “Sunny XI” is one of the best team in Pune, for that matched they had very good batting line up. They won the toss and given them batting in hope that we will restrict them in low total, but that was not happen infect every batsman from Sunny XI start hitting sixes and four regularly, they have batted out us from the match. 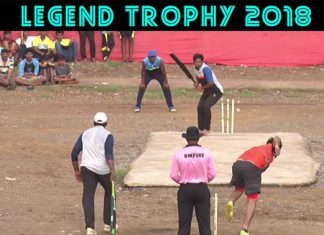 One of their bowler was bowling last over of the inning and Ajay Awale (Good Cricketer from Pune) was already hits many fours and sixes were on strike and Jay was fielding in deep mid-wicket. Ajay hit the ball cleanly and ball was coming his way, he paddle back and jumped to catch the ball but ball was very far from him and gone for six. But he jumped awkwardly and fall down, my entire body wait gone on my right hand and because of that my right hand elbow broken seriously. The hand was really in bad shape; on ground few friends had tears in their eyes when they saw his broken hand. Then Robert and other friends brought Jay at home and told the entire story to his brother, then his brother taken Jay to the hospital and after X-Ray they come to know that the elbow was broken badly and they do not have any other option then operation. He got admitted in Private hospital and get operated from the same doctor who was operated his left hand which was broken while playing football. The operation was successful, but the next day after the operation was really painful and He was not able to sleep for single minuets. Jay was in hospital for more than 1 month and his entire family was suffering. After 2 weeks of the operation, He asked doctor can will be able to play cricket the way he used to, Doctor smiled and told his that this is not a small operation and it’s big one and if you are able to do your normal routing work with your hand that will be sufficient, don’t think about cricket now. Jay was so disparate, he was blaming himself why he jumped, why he went to play that match, there will be no accident if he gone to his office. After few days he went to doctor’s clinic for the consultation, he has taken the X-ray and said nothing to worry about and he shown him exercise and asked him to do every morning and evening. On that time also Jay asked him can I will able to play, Dr told him that do the exercise regularly without fail and at this time he cannot able to advise him on that. One thing was good for Jay that his brother was in India with him in this difficult phase. Jay started the exercise with the help of his brother; He used to do the exercise as many hours as possible. After few months results were showing his hand was coming in right shape. He has done this exercise almost for 2 to 3 months and when he went to hospital again to show the progress, his doctor was very impressed with his efforts and the improvement, in fact DR has taken a photo of Jay’s hand and said to his that he will show this photo to his patients and will tell them that after this critical operation also you can improve this far and he will keep my improvement as benchmark for other patients. Dr also advises him do not take any chance by playing cricket in next few months. After the confirmation from the doctor he started playing again and god was so kind on him that this big accident also not affected on his game and know he was able to play the way he used to play. He really enjoyed his last 15-18 years of tennis ball cricket and god is so kind on me that he is still able to play and enjoy the competitive tennis ball cricket. For that he thank all his family and friends. Jay played many good innings in his 15-18 years cricketing career, the one which stand out is the one which played in Kadoli (Karnataka) two years back against his own team Dingdong (Pratik XI). He had few miss understanding with few players within the team hence he played against them in that tournament. As usual they have very strong and balanced team; they scored 108 runs in their inning of 10 overs. Their chase was stared in disaster, they lost their openers in first two overs and Jay was on the wicket. They have very good bowling attack, He know that if they want to win the match then he has to play till to the end of the inning and that is what he was able to do on that day. In last two balls they are requiring 6 runs and he hit six to logon to win the thriller of a cricket game. Jay scored around 75 not out and successfully chased down the score of 108 and he judged the Man of the match.